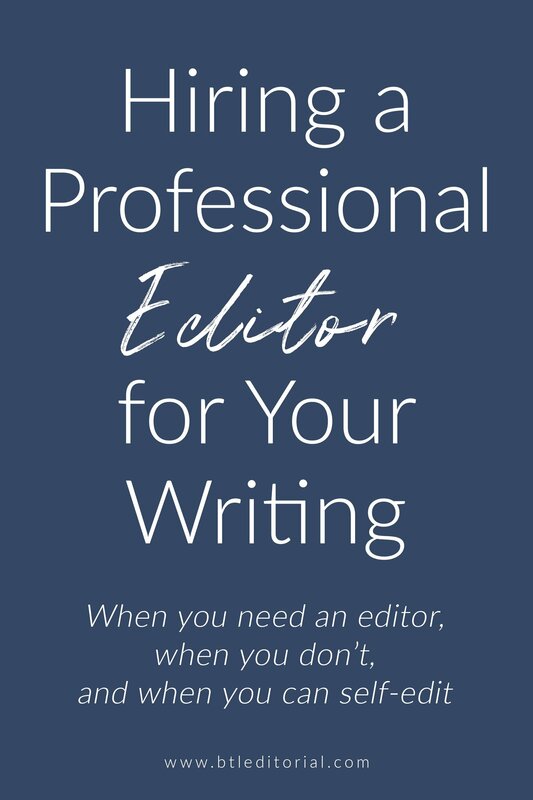 I have several posts about self-editing, and I even launched this ebook about self-editing, but it’s important to remember that self-editing is not a replacement for professional editing. Besides their formal education and professional training, editors understand the intricacies of language and the nuances of editing. 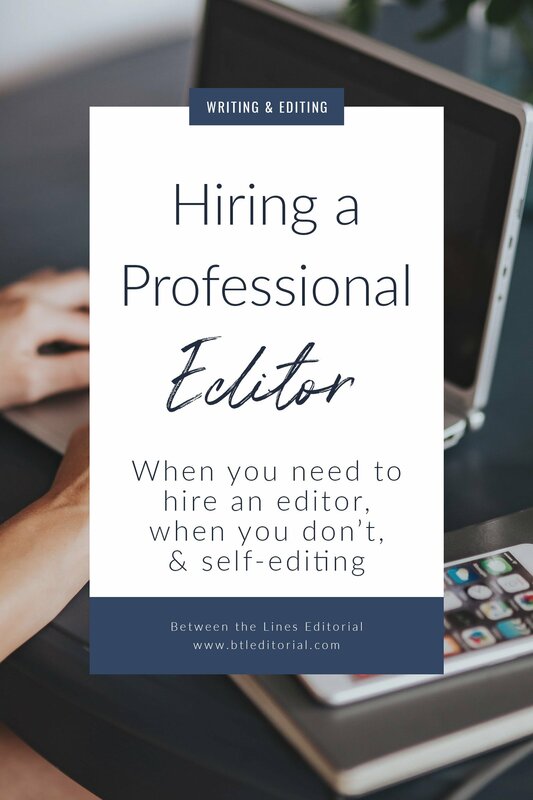 Editing is more than cleaning up grammar and typos, and professional editors have the skills necessary to help with the finer details. The following blog post is a direct except from my self-editing ebook, The Resourceful Writer’s Guide to Self-Editing. // When should you hire an editor? 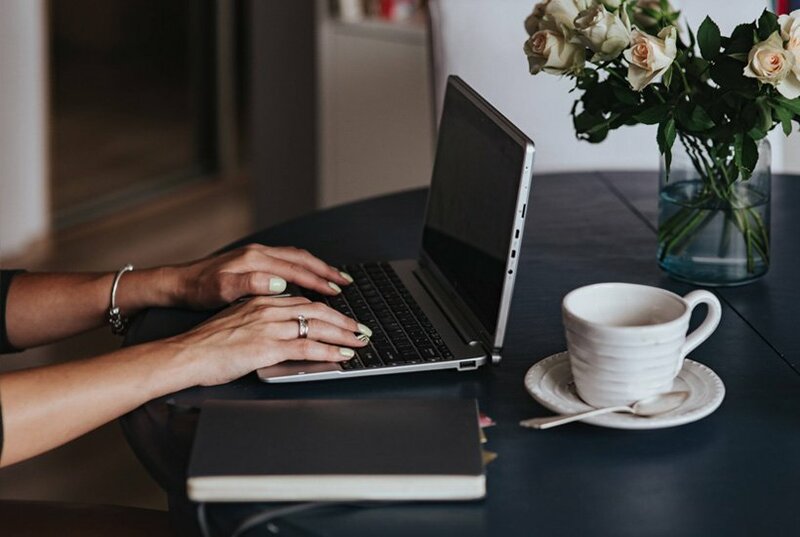 Whether you’re writing an ebook for your business or crafting novels, professional editors will help you take your project to the next level. With highly visible, long projects, it will be more difficult for you to identify errors, and an editor will be key in publishing your best work. This is especially important if you’re planning to self-publish. When you publish through a publishing house, you get an editor; if you’re taking self-publishing seriously, follow the same process and get an editor for your manuscript! Readers aren’t forgiving when it comes to major plot holes, disorganized text, and spelling and grammar problems. // What should you look for in an editor? Not all editors are equal. Some have been in the industry for decades, while some editors are newer. Some editors specialize in specific genres, while others will only proofread regardless of genre. Look for an editor who suits your particular needs. For example, if you’re working on a fantasy novel, finding an editor who specializes in fantasy, or at least has worked on many fantasy novels, will be better for you as a writer than an editor who specializes in medical journals. You can find editors through editorial associations like the Editorial Freelancer’s Association (EFA), through Google searches, and even through social media. 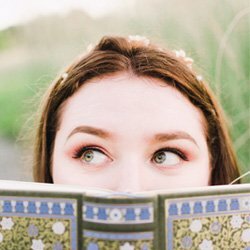 Ask for samples from a few editors who you think might be what you’re looking for; sometimes these samples are free and sometimes editors charge a small fee for them. Once you get your samples back, look at how the editor works with your style. Did they polish your work and point out things you didn’t see, or did they overly rewrite it and completely change your unique writing voice? Finding an editor who doesn’t change your voice but enhances your skills is important for a healthy working relationship. // What can you expect to pay an editor? Once you find an editor, what can you expect to pay? That will vary by editor, by genre, and by the types of editing they’re doing for you. For example, a 100k word fantasy novel will be more expensive than a 50-page ebook, and line editing will be more expensive than proofreading. That 100k fantasy novel may cost close to $2,000 for a truly thorough, in-depth edit. Pricing structures and rates vary by editors, but professional organizations like the EFA have median editorial rates listed on their website. According to the EFA, the types of editing covered in this book run between $30 and $60 per hour. When looking at editors, ask for a price quote for the project. If it seems too good to be true, like $100 to edit an entire book, it probably is too good to be true. Use your best judgment. Additionally, if you have a budget in mind, let potential editors know! They may be willing to work with you, whether that’s through a payment plan or putting together a custom project package that meets your needs at your budget. // When don’t you need an editor? The first two are fairly self-explanatory: short pieces of writing and communication don’t need a professional editor’s touch. Instead, use this book and checklists to clean up that writing. For the querying process, you don’t necessarily need to hire an editor. Because you’ll be querying agents and publishing houses, they know your manuscript won’t be in pristine condition. That isn’t to say you can get away with glaring errors, but you also don’t need to spend tons of money on an editor. Even though you don’t need an editor for the querying process, working with an editor will make your writing stronger. This may distinguish your work from the hundreds of manuscripts agents and publishers receive every year, but there’s no guarantee. Again, use your best judgment here and do what feels right for you and your manuscript. To learn more about hiring an editor, check out this blog post about what editors wish creative writers knew. And, if you’re ready to hire a professional editor, check out my services page! 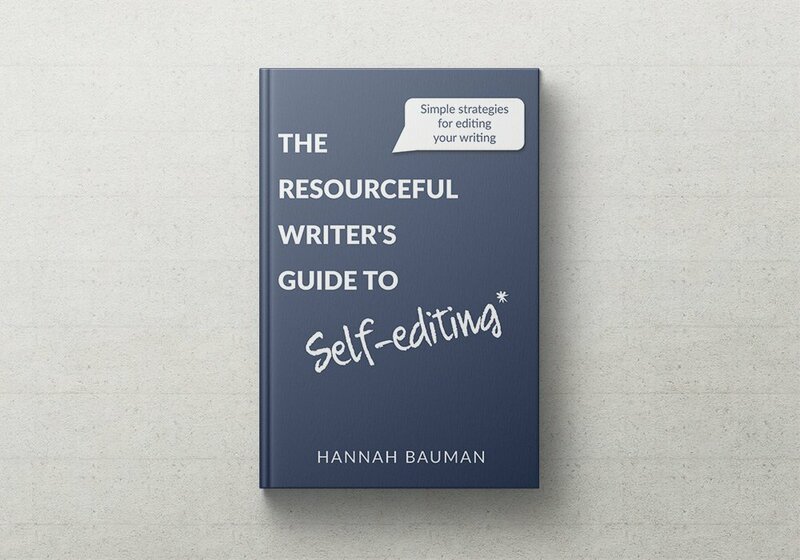 If you’re ready to take your first steps in the editing process, pick up a copy of The Resourceful Writer’s Guide to Self-Editing for just $13.99 (USD).